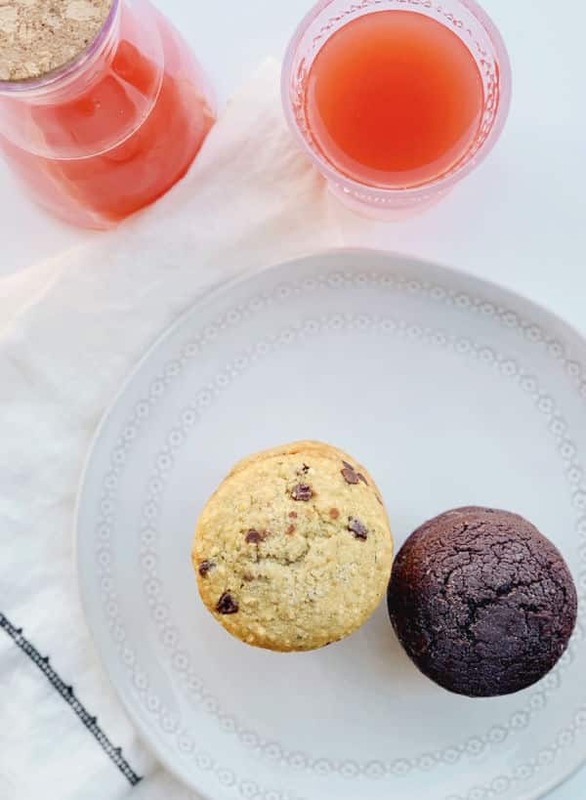 Whether you are looking for an easy breakfast to go or need a snack that is both healthy and ready to eat, these muffins are the perfect choice to grab on your way out the door. 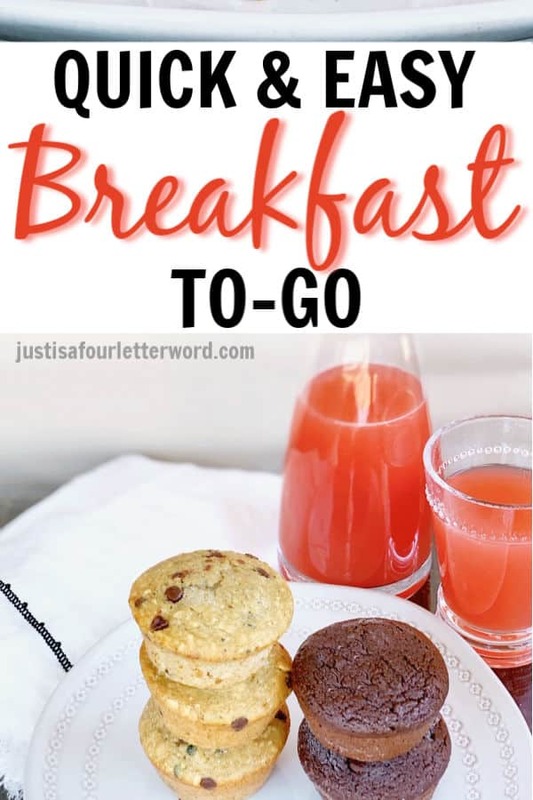 Mornings can get crazy and sometimes you need a breakfast to go. I love making as many meals at home as I can, but not everything is going to happen in my kitchen, which is why I appreciate the occasional packaged food that I can feel good about. I discovered Garden Lites products last year when I wrote about gluten free meals and we are still loving them months later. This post is sponsored by Garden Lites. All opinions are my own. Even though I tend to eat later in the day with the Faster Way to Fat Loss plan I’m following, my family still eats breakfast and let’s be honest, we all love snacks. 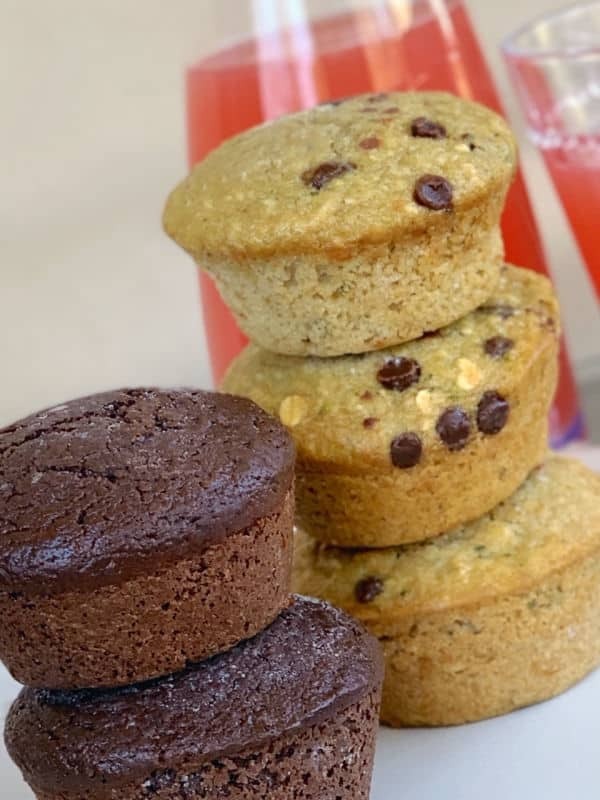 Not only are these muffins delicious but they are gluten-free, include veggies in every muffin and they don’t have a bunch of extra junk. In fact, the first ingredient on every box is a vegetable! 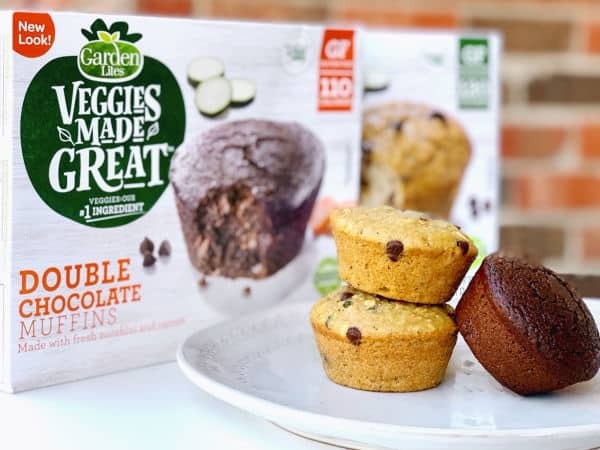 Garden Lites muffins come in a variety of flavors and are located in the freezer section of most stores (I get them at Target). So far we’ve tried Blueberry Oat, Double Chocolate, and Banana Chocolate Chip. The breakdown of favorites goes like this; Oscar loves Blueberry Oat, Calvin goes for Banana Chocolate Chip, Jerry prefers chocolate and as you might guess, I love them all. I’m on the lookout for the Cranberry Orange flavor though because it sounds amazing. 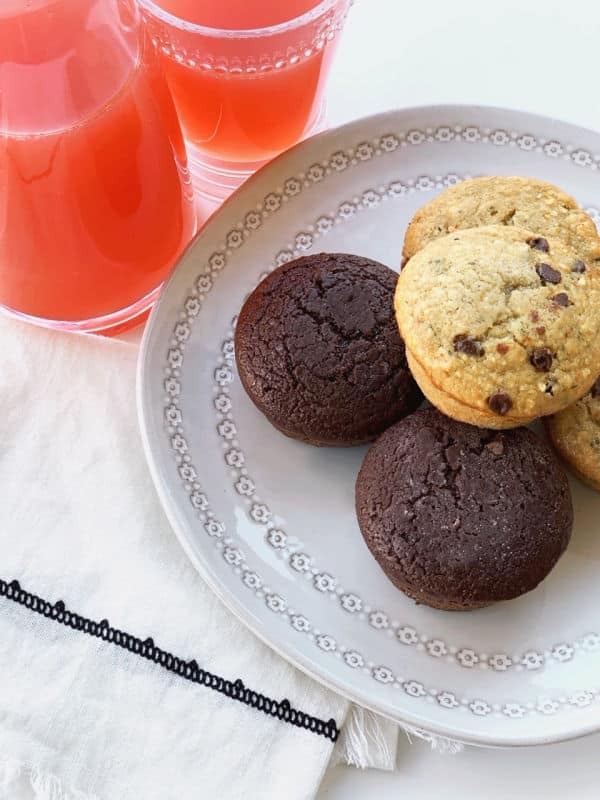 And in case you were wondering, not one of my family members had any idea there were veggies in the muffins, which is a total mom win if you ask me! I believe Calvin’s exact words were, WHAT!? These muffins have VEGETABLES?! Oscar, did you know these muffins have VEGETABLES!? I even put these in my kids’ lunches for a nice sweet treat and even now that they know the secret, they still love them. I also love that Garden Lites muffins each come individually wrapped and after 30 seconds in the microwave, it’s like eating a muffin straight out of the oven. 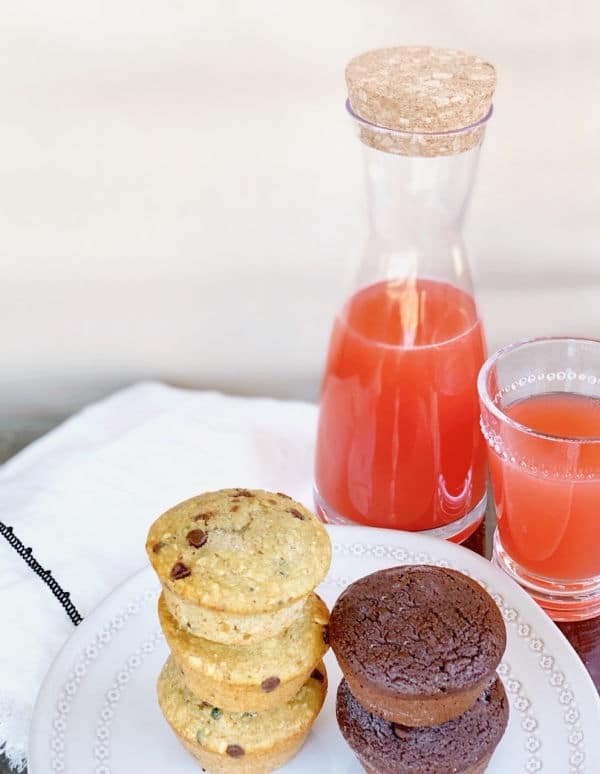 Pair them with a small glass of grapefruit juice for a really nice balance of sweet and tart flavors. If you haven’t tried Garden Lites and you’re looking for a quick and easy breakfast to go option, grab a coupon to save and find a store near you. I really think these are the next best thing to a fresh breakfast. Plus, it’s nice to have choices! Want to go next level with your breakfast? Check out these tasty recipes and let me know what you think! I’m eyeing that blueberry parfait myself. I’m not living a 100% gluten-free life but I have to say that I have really enjoyed limiting gluten because I do see a bit of a difference in the way I feel. I’m really glad to enjoy some of my favorite things even without the gluten. What about you? Have you tried the Garden Lites muffins yet? 5 kitchen gadgets that make healthy eating fun!